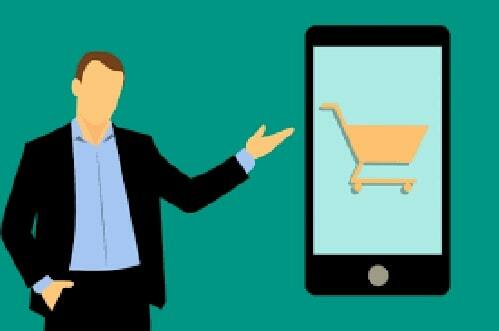 Retail stores, F&B, and service-based businesses are experiencing the challenges the booming e-commerce industry poses. For one, Amazon is increasingly taking over the retail industry while restaurants compete with food delivery services like UberEats. 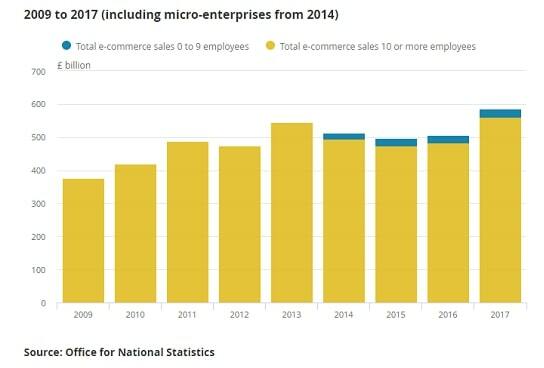 Data from the U.K. National Statistics Office shows that e-commerce sales rose to £560 billion in 2017, a 16% increase from the 2016 sales of £484 billion. Based on these trends, it’s safe to say starting an online store is a good move for almost any type of business. It’s true, not every business can easily be converted into an online store. But it’s not impossible. Restaurants and cafes can sell packaged or bottled versions of their store favourites, such as coffee, desserts, or even their own signature hot sauce. You can even create a product line specifically built for online sales. Nail salons and spas can also benefit from building an online store by selling gift cards and massage oils, and the same technique can be applicable to service-based businesses, such as dentists selling their own toothpaste line. Traditionally offline businesses, like lawyers and professional service providers like resume writers and consultants mostly have websites that showcase their expertise through blog posts and service pages. But they can sell pre-packaged versions of commonly availed services, or even give discounts for said services like how Riklan Resources sells resume writing packages. Online stores aren’t a passing fade, as you can tell from the downfall of several malls and retail brands. But if you’re not convinced yet, here are 5 more ways an online store can boost your business. Creating an online store opens up your business to customers beyond your store or office’s physical location. Now, you’re no longer restricted to the demands and demographics of your local customers because your online presence allows you to meet potential customers wherever they are—on their mobiles, desktops, or laptops. They say you lose the social element of shopping when you do it online. Yes, you can’t touch the merchandise but you can still share the joys of online shopping (or window shopping) with friends. Pinterest, a social media app that allows users to “pin” images of items, recipes, and DIY crafts they like, is a good example of this. If you search “wedding” or “summer dress,” you’ll find hundreds of pins from different users bookmarking the things they want to buy. What’s more, they often share these pins with their friends and family, so who’s to say online shopping isn’t social? They might not be in the same location as their friends when they compare different items but the experience is pretty much there. Some restaurants, stores, and service-based businesses have limited operational hours. Business owners that rely solely on their brick and mortar presence lose out on prospects and sales that come from night owls who do their shopping and product comparisons at night. Even offline businesses like real estate agents and interior designers can benefit from an online store by displaying the items on their inventory, like houses they’re selling or pre-made house designs, so they can accept inquiries at night and follow-up with those prospects the next business day. Brick and Mortar stores can’t track how long a customer checks a product before making a purchase. Service-based businesses don’t have information on how many reviews or articles a prospect reads before scheduling an appointment. An online store, on the other hand, allows you to track every click a visitor makes before making a purchase, so you can use this info to improve your marketing and product offers. With an online store, you can create and upload product guides, video demos, sales webinars, and FAQs to address customer concerns. Doing this will not only save you time, it will also improve satisfaction for current and future customers because they no longer have to visit your store, or wait on the phone to get their questions answered. Are You Ready to Setup an Online Store? You don’t have to hire an IT expert or developer to setup an online store because there are several cost-effective ecommerce platforms with an easy to setup interface. Just choose one that fits your budget and has the technical features you’re looking for, such as analytics, easy to update catalogs, or gift codes. If you want your site to look good, you may want to work with a professional ecommerce web designer though. Setting up an online store isn’t enough to get you more sales. You have to put in some effort to promote it online but the good news is there are dozens of ways to do this. For starters, you can use pay-per-click ads, learn professional conversions copywriting, and search engine optimization tactics to get your store ranked in Google search. This article isn’t meant to argue the merits of having a physical store or office. In fact, having a physical address will make your online store look more credible to the eyes of potential customers. In a world where lots of online stores and businesses operate purely online, having a branch people can walk into assures customers that you’re a legitimate and serious business who won’t scam them for their money. If you just complement your offline marketing efforts with an online store, and spend some time marketing it, you’ll see a noticeable change in your sales and brand awareness in a few months.